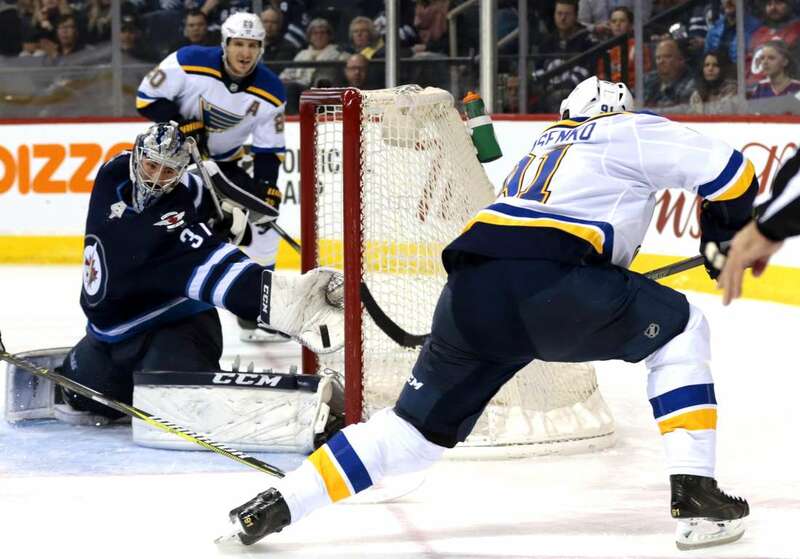 The Blues' Vladimir Tarasenko (91) scores against the Jets goaltender Connor Hellebuyck on Friday in Winnipeg, Canada. The Blues won 5-2. Photos - U.S. Daily News: ...And it's a goal!